The NES released in the USA in 1985. 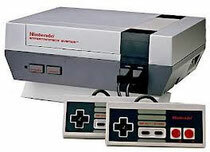 The Nintendo Entertainment System, or "NES" for short, was released in the USA in 1985. It took home gaming to a whole new level with first party titles such as Super Mario Bros, Kid Icarus, and others. Third party support was also very stable, which lead to the NES having a very strong lineup of games within its first few years. It eventually became the most successful console of the 1980's. The console enjoyed mega-releases such as The Legend of Zelda, and Super Mario Bros. 3. 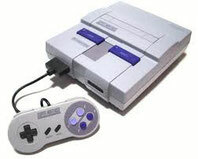 The SNES arrived on USA store shelves in 1991, and ended up the #1 selling console of the early 90's. The Super Nintendo Entertainment System (SNES) was Nintendo's offering into the 16 bit era. It's main competitor was the Sega Genesis, but it also stood against other consoles such as: the Panasonic 3DO, the Atari Jaguar, and the TurboGrafx 16. While the race with Sega was close at times, the Super Nintendo did sell the most consoles of its generation. Some of the many noteworthy games for this system were the Donkey Kong Country games, Super Mario World, and Star Fox. The N64 had many popular games like Super Mario 64, Mario Kart 64, and 007 Goldeneye. In 1996, Nintendo released the Nintendo 64 (N64). It was an interesting console for Nintendo as the market had changed drastically since the launch of the SNES five years earlier. The Sega Saturn and the Sony Playstation had both released a year early (1995). When the Nintendo 64 hit the shelves in 1996, the competition already had a big head start. Playstation was in the lead. Sales wise, the N64 came in 2nd place for its generation. It couldn't catch the Playstation which would end up becoming the first home console to sell 100 million systems. The N64 did catch up to and pass the Sega Saturn by a substantial margin, leaving Sega in a very tough spot. Some of the hits released for the N64 include Super Mario 64, The Legend of Zelda: Ocarina of Time, and 007: Goldeneye. The Gamecube had some great games, but still finished in 3rd place in sales: behind the PS2 & Xbox, and ahead of the Sega Dreamcast. The Nintendo Gamecube (released in 2001) was Nintendo first console to feature games on discs rather than on cartridges. It belongs to the 5th generation of video game consoles alongside: Sega Dreamcast (1999), Playstation 2 (2000), and the Xbox (2002). The Gamecube was praised for its sharp and colorful graphics. Criticisms included that there were too many games for kids, and not enough titles available to appeal to older gamers. 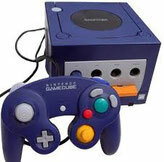 The Legend of Zelda: Windwaker, Super Mario Sunshine, and Luigi's Mansion were some of the hit titles for the Gamecube. 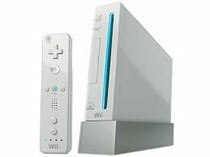 The Wii was the first Nintendo console to not have the word "Nintendo" as part of its official name. The Wii released in the USA in 2006. The initial response was great, and the Wii continued its momentum for several years. As of January 1, 2014 it is the best selling home console of its generation, selling almost 20 million units more than the PS3 and the Xbox 360. Mario Kart Wii, New Super Mario Bros., and The Legend of Zelda: Skyward Sword are a few of the bestsellers for the Wii. The Wii U features a touchscreen tablet controller. The Wii U released in North America on November 18, 2012. Since then console sales have been much lower than the previous Wii system. Nintendo fans and Wii U adopters are eagerly awaiting forthcoming blockbuster titles such as Mario Kart U, and Super Smash Bros. U. The Gameboy released in 1989 to great success. The Nintendo Gameboy was NIntendo's first attempt at a handheld console, and a very successful one at that. It is one of the highest selling systems of all-time, selling well over 100 million units worldwide. The game Tetris became a household name (and game) because of the Gameboy. More handheld consoles coming soon!